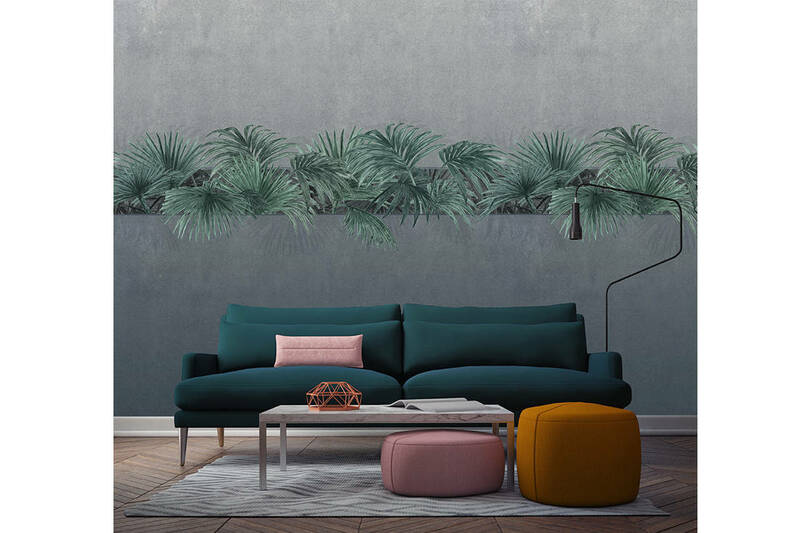 Jazz up your home with these nature-inspired wallpapers, including botanical, foliage and stone designs, that are modern and right on trend. 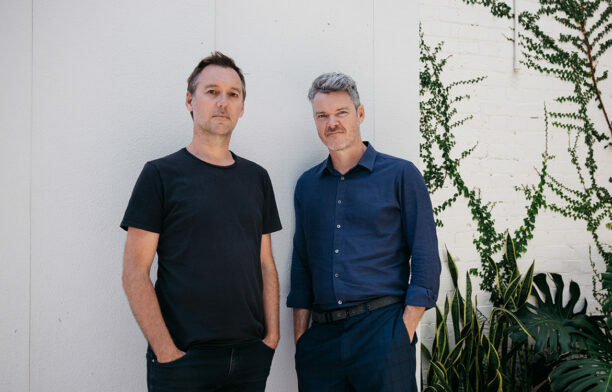 With nature-inspired design and decor becoming more trendy, we’ll be seeing a lot more of botanical, foliage, stone and animal motifs around. And if you’re looking to update the look of your home by incorporating this latest trend in a fuss-free way, look to wallpaper or wall coverings. 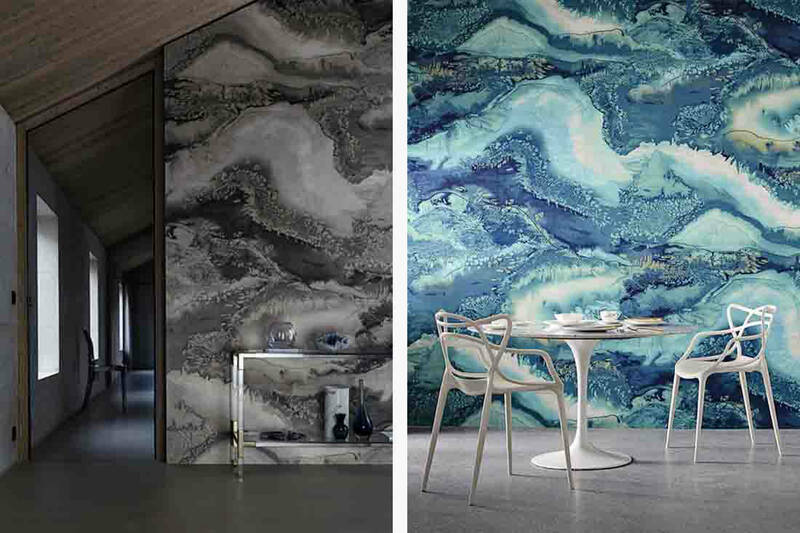 Not only can printed wallpaper dramatically change the look of your space – after all, it occupies a large surface area – it lends interiors a modern luxe look with designer appeal. Think of wallpaper as art for your whole wall! Best of all, it is relatively affordable and doesn’t require any extensive renovation works. 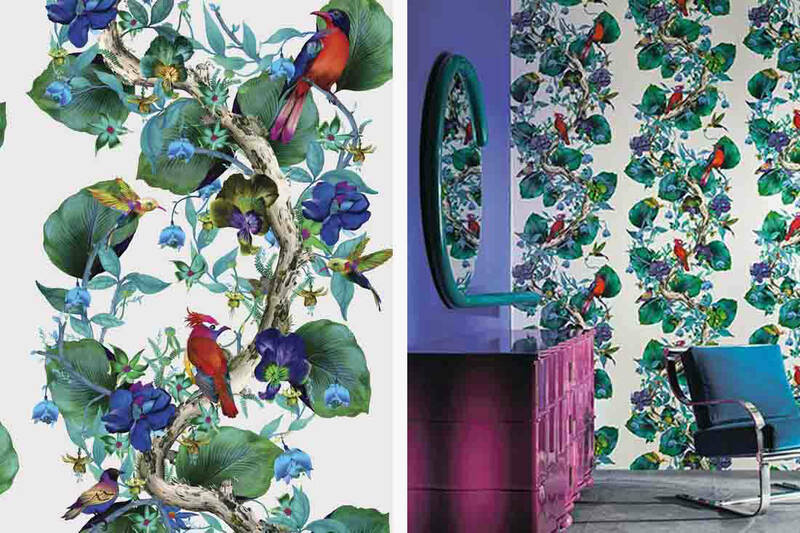 Look for beautifully illustrated wallpapers, with realistic and fine details. Your best bet is to choose a modern graphical or artistic, painterly print that will blend in well with most interior design styles. Install the printed wallpaper on just one large surface, to create a focal point that is entrancing, yet not over-the-top. 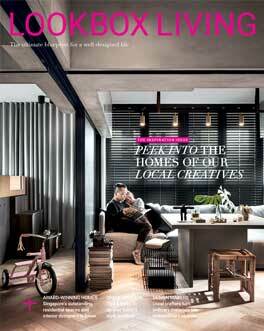 #1 The Phillip Jeffries Beyond collection in different shades gives contemporary interiors a dreamy, ethereal vibe. Available at Goodrich Global. 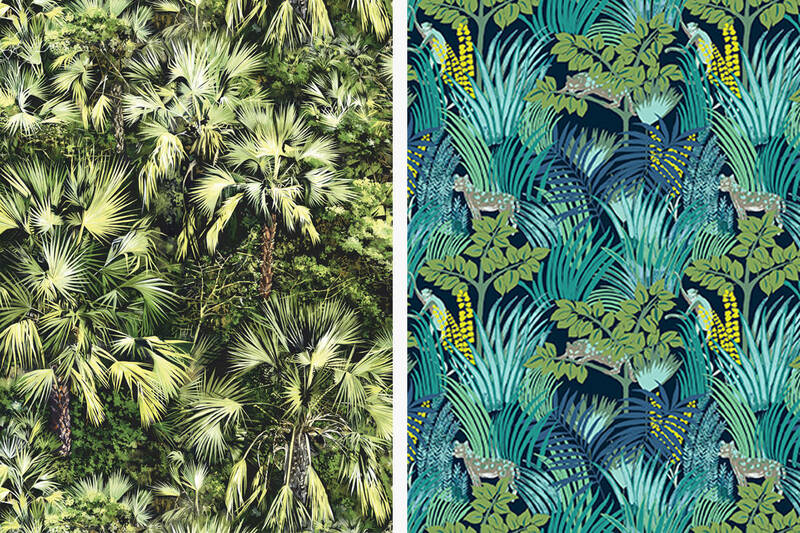 #2 The Pierre Frey Vue d’en Haut (left) and Kipling wallpapers have modern, tone-on-tone designs with tropical prints. Available at Romanez. #3 The Tenue de Ville Kentia (pictured in Teal) wallpaper stylishly and subtly brings the wilderness of the jungle in. Available at Tatum. 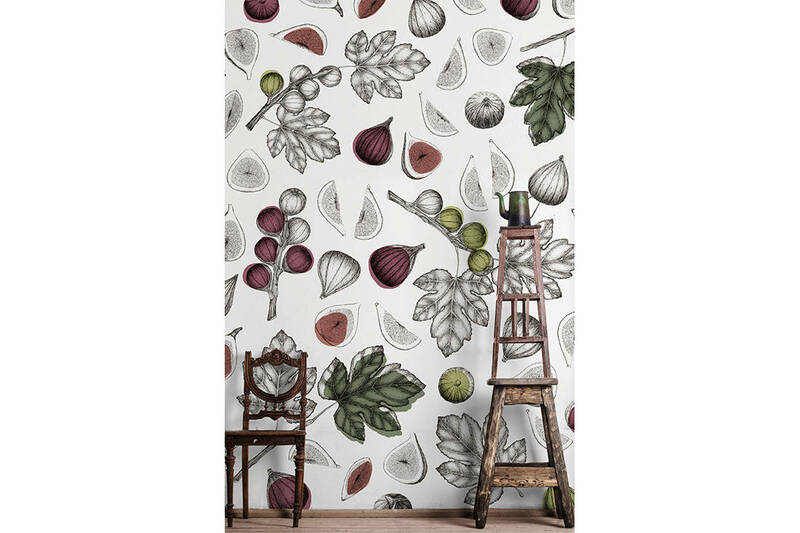 #4 The Naturalis Ficus Carica wallpaper features a modern take on a classic botanical print. From Wallpepper. #5 The Anthology Definition collection of precious stone-inspired designs is simply stunning. 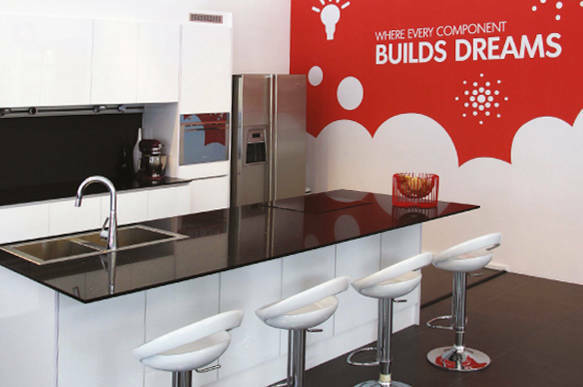 Available at Goodrich Global. #6 The Osborne & Little Enchanted Gardens Rain Forest wallpaper has a repeated vertical print, with bold and bright leaves, flowers and birds. Available at Danovel. 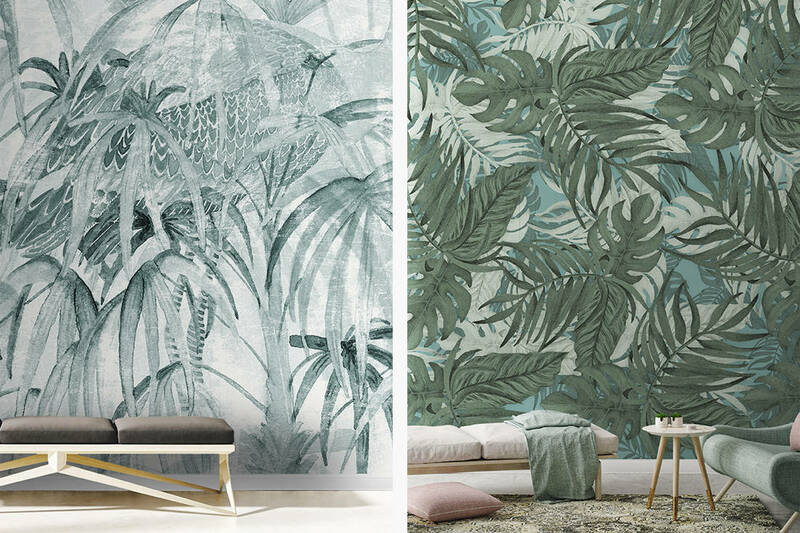 #7 The Tropikos collection, including Chineleaves (left) and Palmania, features scenes of tropical nature that appear to be painted and drawn. From Wallpepper. 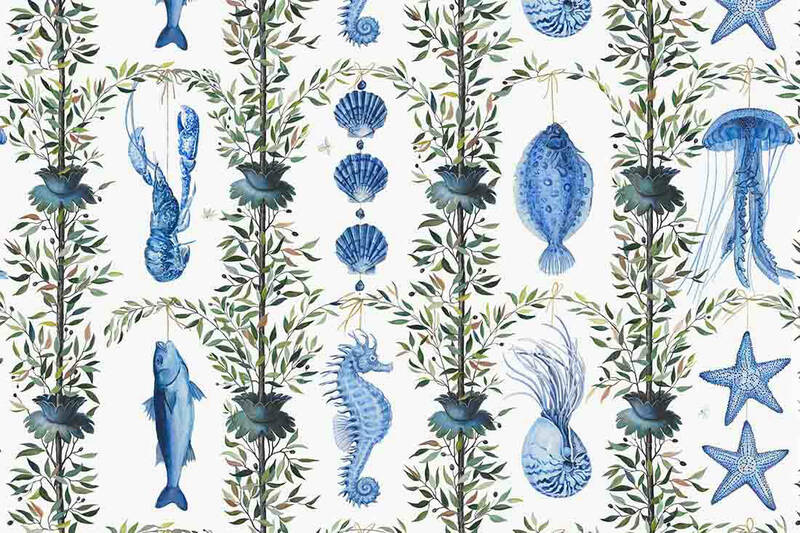 #8 The Pierre Frey Bonne Peche wallpaper with ultramarine blue and moss green colours is inspired by seafood market stalls, for a whimsical look. Available at Romanez. 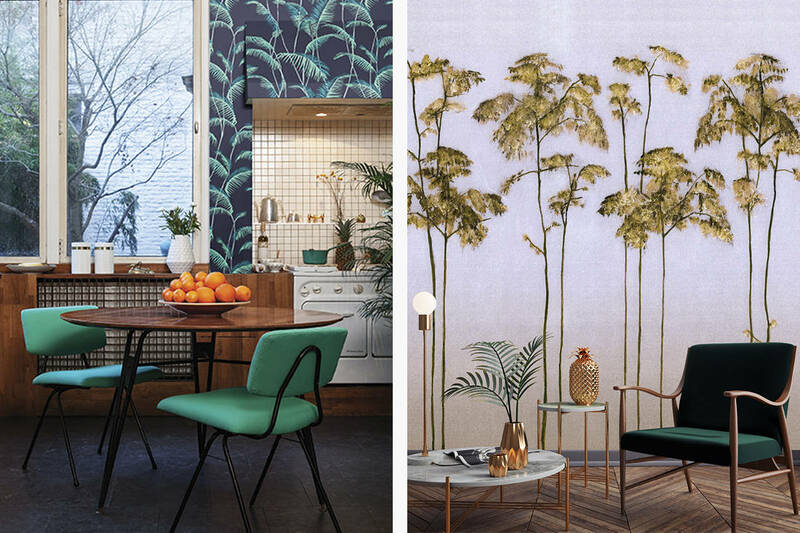 #9 The Tenue de Ville Majorelle (pictured in Teal, left) and Lore (pictured in Sauterne) wallpapers have understated designs that simply highlight the beauty in greenery. Available at Tatum. 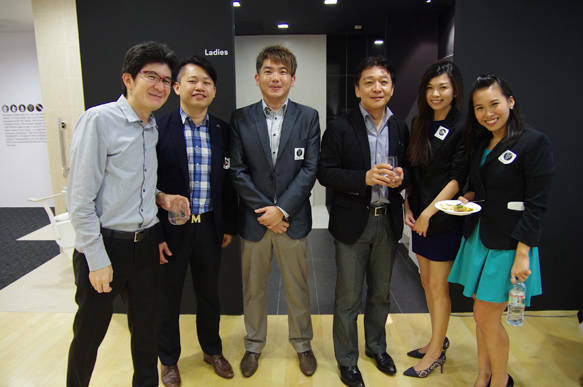 The Ewins Group unveils two new showrooms dedicated to the Home and Office. 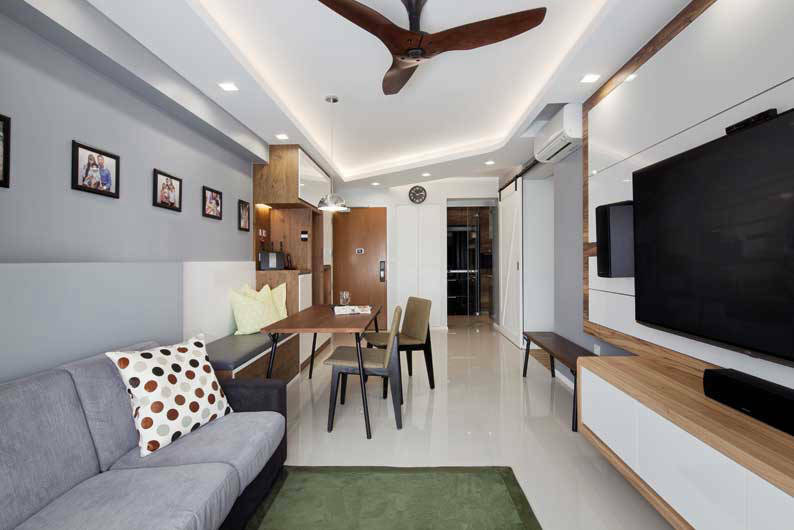 Interior design firm Weiken.com gave this home a palette of brown, grey and white with clean-lined details that are functional and aesthetically pleasing.